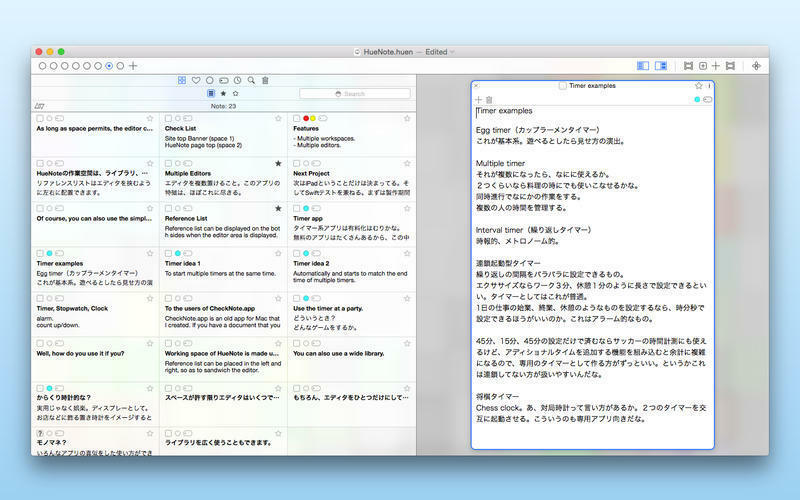 A text editor that can edit multiple notes in parallel. Is there a better alternative to HueNote? Is HueNote really the best app in Word Processing category? Will HueNote work good on macOS 10.13.4? 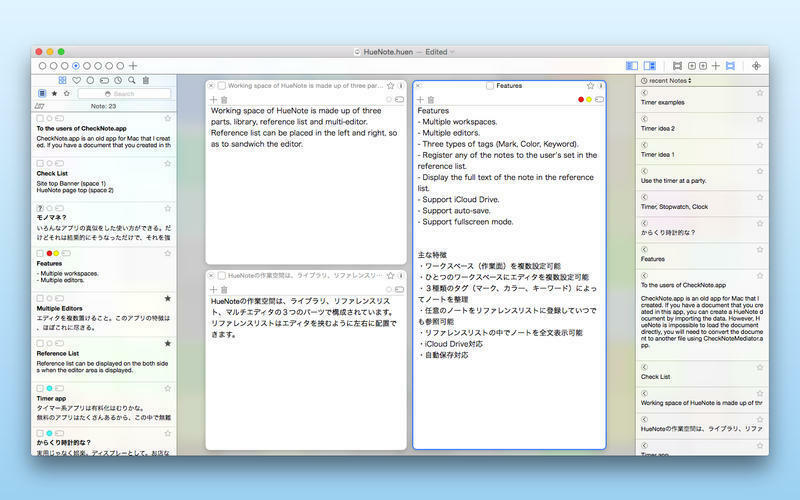 HueNote is a text editor that can edit in parallel multiple notes. You can set the editor any number in the range of window size. 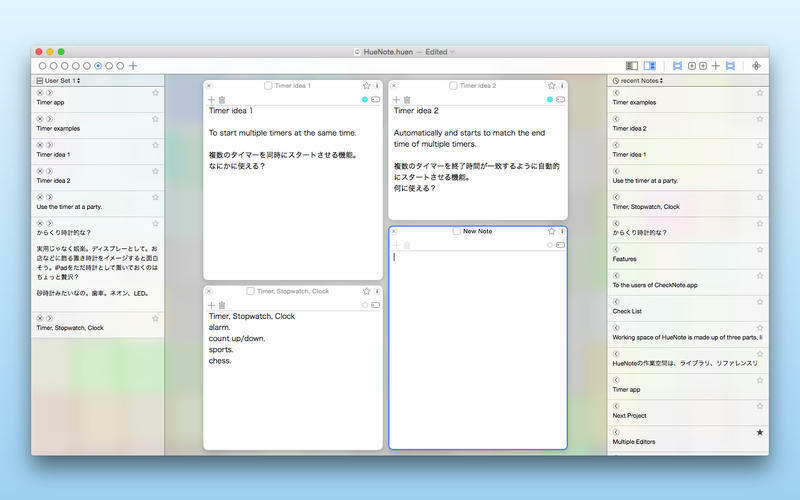 Of course, you can also use in the editor only to one as a simple note-taking app. The notes written a lot is managed by the library. You can also be registered frequently used notes to the reference list. Three types of tags (Mark, Color, Keyword). Register any of the notes to the user’s set in the reference list. Display the full text of the note in the reference list. Note: The demo version is currently at 1.2.2; the version available for purchase is 1.3. HueNote needs a review. Be the first to review this app and get the discussion started! HueNote needs a rating. Be the first to rate this app and get the discussion started!